As a warm winter holiday descends on us here at the Roy Rosenzweig Center for History and New Media, we’re once again compelled to take a look back at the year and the accomplishments of Digital Humanities Now. November marked our seventh year of publication and what started as Dan Cohen’s Twitter feed in 2009 has become a community-curated publication that benefits from the efforts of a dedicated staff and a generous community of volunteer editors who continue to improve the publication and build a new model for scholarly communication that values open scholarship, participation and attribution. In July 2015 we launched a redesigned version of Digital Humanities Now, designed by Amanda Regan, that responded to readers’ requests for a responsive design, improved navigation, and increased transparency of the editorial process. An extension of the PressForward TurnKey Theme, DHNow’s new theme reveals metadata collected by PressForward and offers new ways to make that metadata outwardly visible. In addition to a newly redesigned homepage, the new look contains a number of new features such as an index of previous posts and a list of all the feeds currently aggregated by DHNow. Moving forward, we’ve outlined a new user management system that will take effect in 2016 and is geared toward reducing the amount of administrative work involved in managing an open source publication, making the contributions of our staff and Editors-at-Large outwardly visible, and maintaining a simple yet effective workflow for our Editors. Building on the technical knowledge accumulated through contributing to the development of PressForward and the PressForward TurnKey Theme, Amanda Regan has helped to design and write a plugin that will accomplish many of these goals by moving the user registration process out of Google Docs and entirely into WordPress. More details about this new process will be released early next year. Our statistics for 2015 continue to demonstrate that our efforts at consistency have been effective and the community’s production of valuable, open-access scholarship continues to be dynamic and inspiring. In 2015, we featured 168 items as “Editors’ Choice” on the site, averaging two to four Editors’ Choice items, selected twice each week. Additionally, we circulated approximately ten “news” items per week in 2015, for a total of 383. Our readership also continues to grow. In 2015, we garnered an average of just over 12,000 unique visitors to the DHNow site each month, and in July we hit 20,000 Twitter followers. 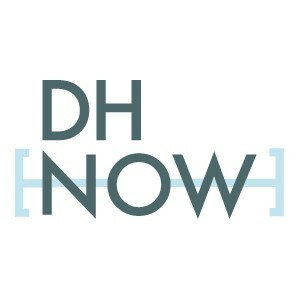 Although our stats have improved from 2014, what continues to sustain DHNow’s success is the community of Editors-at-Large who support DHNow through the donation of their time and energy. As with many long-standing projects, there have been changes to staffing on DHNow, and the close of the calendar year offers us an opportunity to thank the both past and current staff at the Roy Rosenzweig Center for History and New Media (RRCHNM) for the dedicated effort, creativity, and problem solving that goes on behind the scenes each week to keep the publication running, growing, and improving. This fall Lisa M. Rhody accepted a position as the Deputy Director of Digital Initiatives at the City University of New York’s Graduate Center. As the Associate Director of Research Division at the Roy Rosenzweig Center for History and New Media (RRCHNM), Lisa was involved with multiple projects. Serving as the Technical Director of PressForward 2 she helped to drive development forward and was instrumental in the maintenance, enhancements, and success of DHNow in her role as Managing Editor. DHNow, and its staff, have benefitted tremendously from her leadership, guidance, and dedication. Under Lisa’s leadership Digital Humanities Now continued to rapidly expand and she was instrumental in outlining and implementing numerous new features. Joshua Catalano joined our staff in August 2014 as a Graduate Research Assistant and has assumed the role of Site Manager for Digital Humanities Now. In this role, he is responsible for conducting correspondence, managing Twitter, and formatting the content chosen by the DHNow community. Joshua also serves as one of the rotating Editors-in-Chief. While Joshua handles much of the day to day administrative tasks for Digital Humanities Now and ensures content is published each week, Amanda Regan and Amanda Morton have transitioned into the role of Managing Editors, while Stephanie Westcott has transitioned into the position of General Editor. While still involved in the day to day management of the publication, our new Managing Editors will now be working to improve outreach efforts and refine both the editorial and volunteer workflow. Along with Benjamin Schneider, Amanda and Amanda also serve as rotating Editors-in-Chief. Join us again in 2016! On behalf of the DHNow staff, thank you for an extraordinary 2015. We will be taking a break from publication until January 2016. Don’t forget to join us again in the new year by nominating RSS/Atom feeds with relevant digital humanities content and by volunteering to serve for a week as Editor-at-Large.